Jesus … what a miserably slow and boring movie this was. 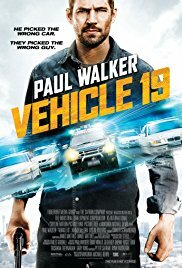 Was the film, the one that made Paul Walker so famous, was also so slow, as slow as this one, it would be called simply “The Furious”. The action was rather limited to some shooting at each other and twice the same chase scene. 1. As far as I know, objects are still moving forward when a car brakes. How can Shabangu get the revolver while sitting in the backseat? 2. If pigeons make these kind of sounds, I never want to go on a holiday to Venice ! 3. It’s about time ballistic experts explain to filmmakers that a bullet never follow an oval trajectory. I would shoot, those who follow me and try to kill me, when they are in my field of vision. 4. The way Shabangu could free herself suddenly ! 5. In South Africa they drive a sort of Dinky Toys cars apparently . They bounce around with every slight touch and tend to explode fairly quickly. I’m not a big fan of Paul Walker. In other words, he isn’t really my favorite actor and he couldn’t raise the level of the movie either. Pffffttttt …. I’m curious if I’ll like “The Pawnshop Chronicles“, but I fear the worst as well! An honorable mention for the atmospheric images of Johannesburg.